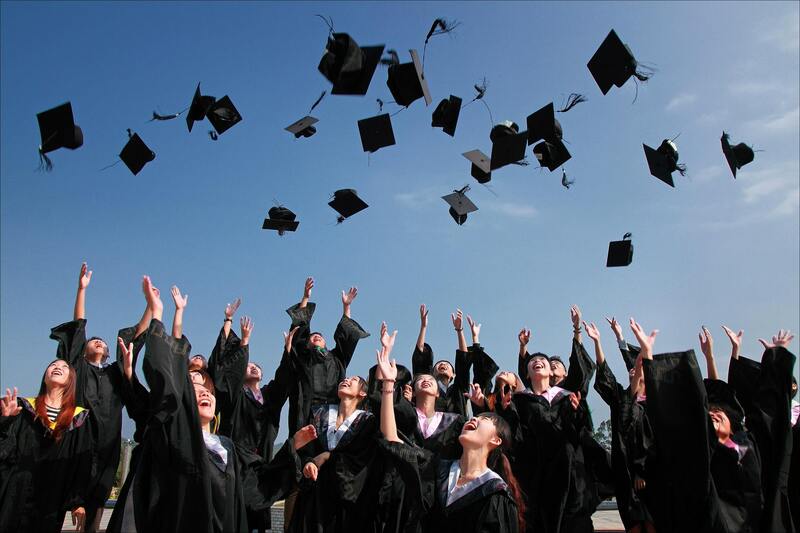 Graduating from college can be both exciting and daunting. It is the first time many will be handling their own finances and in an effort to be prepared for the future, you want to get your finances in order as a first priority. Regardless of how much or how little you make, this step is crucial to your future financial success. Below are 30 financial tips that will help recent college graduates get their finances on the right track. Your student loans are one of the first things on your mind when you graduate college. Take the time to revisit the terms of your your student loans and see what your interest rates are. More times than not, they are high and you may be able to get a better rate if you refinance. Your first step is to check the Federal Student Loan Website and see what you owe and the interest rate. Next, research banks that have the lowest student loan refinance rates. When all is said and done, you will save a decent amount of money. After you graduate from school, you have a six month grace period before you need to begin making payments on your student loans. Start your financial journey on the right foot by making your payments on time every month. If you don't, you could wind up falling behind and it will be very difficult to catch up and get back on track. In general, there are four financial goals people work towards. Saving for retirement, an emergency fund, a large expense (home, new car) and repaying debt. Since you have just graduated, your timeline should look more like saving for an emergency fund, retirement and debt. Saving for the big ticket items can come later. Your idea of the perfect job is not going to be waiting for you when you graduate. You want to get in the game and start networking and making connections where you can. Networking is a key part in succeeding at getting that job you ultimately want. So get to talking with friends, family members, friends of friends etc. Paid internships are another great way to help you get a foot in the door within your field. As a college graduate, you have a good chance of of becoming a salaried employee within six months time with a company you want to be a part of. Creating a budget is essential to your personal finance success. Even more so is sticking to it. The best way to keep track of your spending is to use budgeting software or personal finance apps. You can use either to create a monthly budget, which makes it easier to track spending. When creating your budget, you want to make sure you are accounting for all your monthly expenses. Also keep in mind that unexpected expenses are inevitable, give thought to stocking away money for this. Give a college kid access to a credit card and they are likely to wind up in debt. Avoid this by only using a credit card when you absolutely have to and ensure that you pay it in full by the end of the month. The key is to stick to the budget you set for yourself and only use your debit card. If you can avoid having a car payment, do it. If you can, take public transportation while you save for a car. When you save up enough, check out Consumer Reports for their high rated vehicles and choose the least expensive one. Remember you just want something you can pay in full and keep for the long run. When choosing a bank to go with, we often choose the one that has the best promotion at the time. Take the time to research the best bank for you before you go ahead and start setting up features like bill pay. You want a bank that has a lot of ATM locations and does not hit you with fees for a low balance. Assuming your parents will not charge you rent, this is a no-brainer. You will have the opportunity to put that money towards your future housing plans, pay down any debt and start that emergency fund. When you are young, you may think health insurance is not necessary but accidents do happen as do illnesses. If you have access to health insurance through your work, take advantage of it. If you are under 26, you can look into getting on your parents health insurance as a dependent. When you don't keep track of your checking balance, it is easy to go into the negative and get hit with overdraft fees. If you don't nip it in the bud, the fees can really drain your money. Take the time to set up alerts on your phone for each bill you have. Set the alert up for five days prior to the due date. Also go online and set up low balance alerts for your checking account. Having an emergency fund for those unexpected expenses is crucial. Don't wait until you have a "real job". Any money you can put into this fund is worthwhile. The easiest way to get one going is to set up an automatic transfer to a savings account for each paycheck. Any extra money you receive like a raise or a bonus should be put into this account as well. If you are lucky enough to land a job after graduating and your employer offers a 401k, start contributing to it. The maximum yearly investment into a retirement account is $5500 and if you can swing that, by all means do it. If your employer offers a contribution match, invest up to that amount and take the remainder and open your own Roth IRA. This is one of the best budgeting tips for college graduates. Go through your expenses and see where you can cut down on housing, food, commuting etc. Look for roommates and eat at home as often as possible. If you can carpool or bike, do it. Out of college you are young and energetic. This is the time to pick up some side jobs to boost your income. Today there are so many different ways to make extra money. From babysitting to dog walking to becoming an uber driver, it is up to you to get out there and make it happen. Investing money does not need to wait until you are making a six figure income. Even investing a small amount like $20 will grow over time. As you add more money, you make money off of the compounding interest. Key takeaway is start today, don't wait. Even if you do not have much, it is important to get in the habit of tracking your net worth. Stay on top of your savings, account balances and investment performance. Seeing your savings grow along with your returns on investments will help keep you motivated to continue saving. Stay away from people who encourage you to spend money foolishly. This goes for friends and anyone you date. First impressions are important and potential employers will be looking at your social media accounts. If you don't have a LinkedIn profile set up, create one that highlights your skills. Be sure to check your grammar and spelling too. Networking is an important skill to hone and with social media, it has become pretty easy. Years after you graduate, you could end up landing your dream job from an old college friend. Upon graduating college, most kids are carrying a large student loan debt along with credit card debt. This can spell trouble if you are not diligent about making those payments on time each month. Not to mention you want your credit score to stay in good standing. If this is your situation, look into paying off your credit card debt first since that usually carries a higher interest rate than student loans. Just because you are fresh out of college and money is tight doesn't mean you can't enjoy life. There are tons of ways to still have fun and socialize without breaking your budget. Skip dinner and cocktails out and have friends over for dinner and a movie instead. Once you graduate college, you may or may not want to further your education. With that being said, one of the best investments you can make is in yourself and your lifetime earning power. The earlier you do this the better and you will see the pay off over time. Even if you don't go after an advanced degree, pursuing certifications can also add to your earning power. Read financial blogs. They are free to access and are filled with tons of helpful information that can help answer any financial questions you have. Educating yourself is one of the first steps to becoming financially secure. As a recent grad, you are by default living frugally. It is okay, though, to splurge a little on a purchase that will bring you joy. This is not a weekly or monthly thing. It is a once in a while thing and will help keep your motivation to keep to your financial goals. It is possible to experience travel without breaking the bank. Get together a bunch of friends for a road trip and share hotel rooms. Set a budget for travel and stick to it. Go through your monthly bank statements and weed out any unnecessary subscriptions like streaming services and the gym. Try and work out at home and if your parents have a Netflix account for example, see if you can be included on it. One day down the line you will want to buy a house and you will need the down payment for it. This may seem impossible but it is doable. It is important to think out the next 5-10 years of your life and come up with a way to start saving for this. Putting together a resume is hard when you are just graduating and you don't have much experience to add. The good news here is that you most likely do. Think about the skills your ideal employer would be looking for and see where you might have developed those skills. This could be from an on campus job, volunteer work, an internship or work as a tutor. Emphasize any of these skills on your resume. Even though you may not have much money or assets when you graduate, meeting with a financial planner is a smart move. They can help figure out your student loans, investment choices and more. Financial literacy is something you want to familiarize yourself with from the beginning so that you start off on the right foot. When you graduate college, you are starting a new financial life. The sooner you get a hold of your finances, the better off you will be down the road. Be very careful of how you spend your money, and when you are thinking about spending more than you should, envision the future. You may experience some setbacks on the job front, but keep your focus on your financial goals and a successful financial future awaits you.